This quality Swedish long-distance cruiser has been given a significant update after 14 years in production. 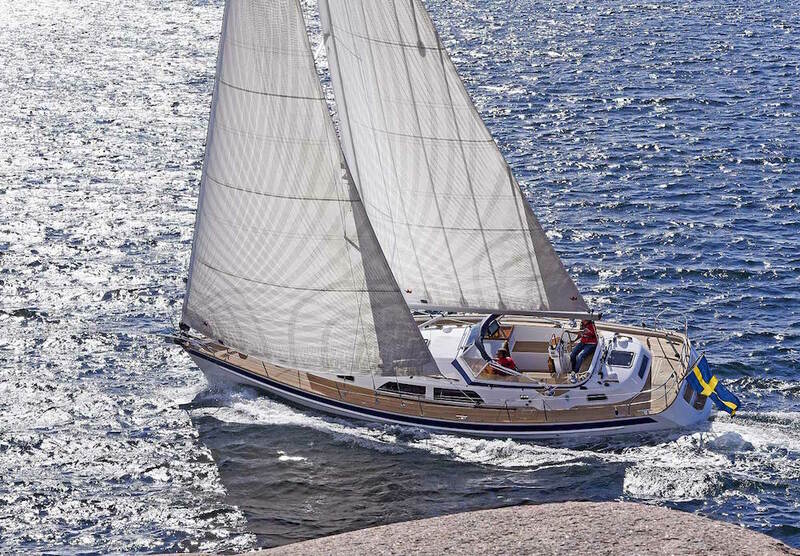 Hallberg-Rassy is something of an enigma among contemporary boat builders. Where many have struggled with changing fashions and a rollercoaster-like market, this Swedish builder of high-quality cruising yachts has stuck firmly to a philosophy of producing the best possible long-distance sailing boats. One of the firm’s proud boasts is that, “A Hallberg-Rassy never goes out of style. Hallberg-Rassy yachts have style; their own.” This helps to explain the longevity of each of the models. 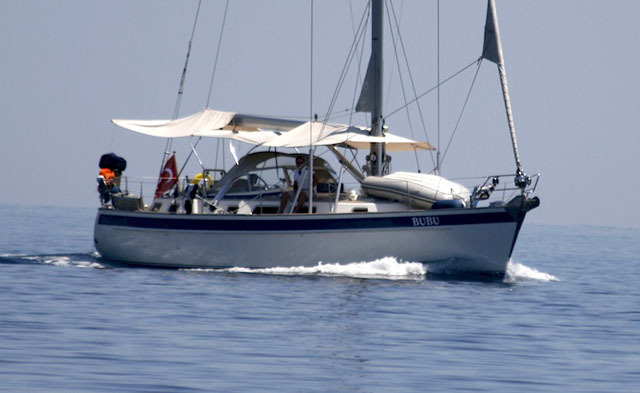 The Hallberg-Rassy 40, for instance, was originally launched in 2002. This leaves scope for a policy of updating the company’s products, looking for ways in which they can be improved and correcting the kind of niggling details that can’t easily be predicted at the design stage. 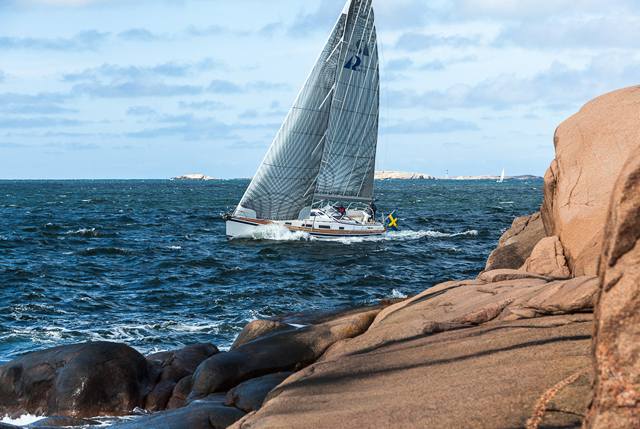 "A Hallberg-Rassy never goes out of style," according to the company mantra. "It has a style of its own." It’s a strategy that appears to have been very successful. While many other boat builders have perished in the 73 years since Hallberg-Rassy was founded, the company remains family-owned and managed, unburdened by a mountain of debt. In that time it has delivered more than 9,200 yachts. This centre cockpit blue water cruiser has been given a thorough makeover, including some 19 upgrades. Some of these are small changes, such as detail improvements to pushpits, pulpits and additional windows. Others are more major. 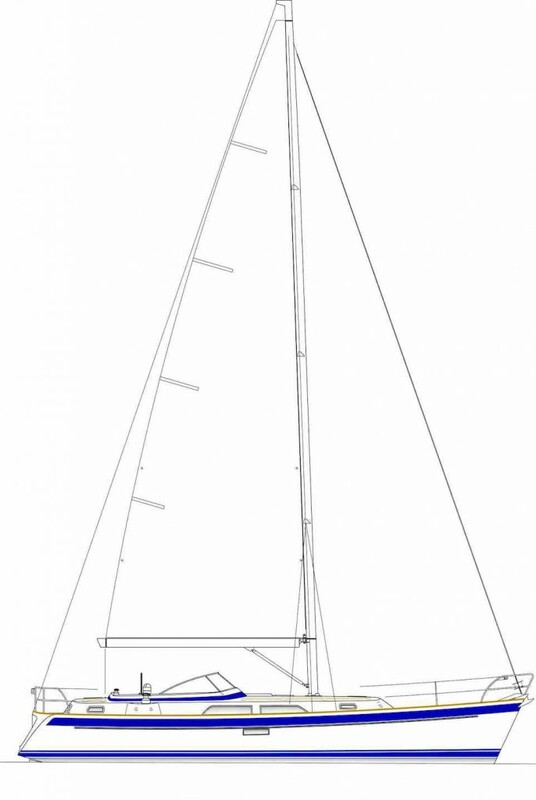 For instance, the rig is 25cm taller, which gives marginally more sail area, 10cm extra headroom beneath the boom and allows the teak cockpit sole grating to be raised a little to improve drainage. Gennakers and spinnakers are now hoisted from the masthead, not from the top of the headstay, which further improves reaching and downwind performance in light airs. There’s also an option for winches with a reversible function and for bow and stern thrusters, along with a docking system capability. 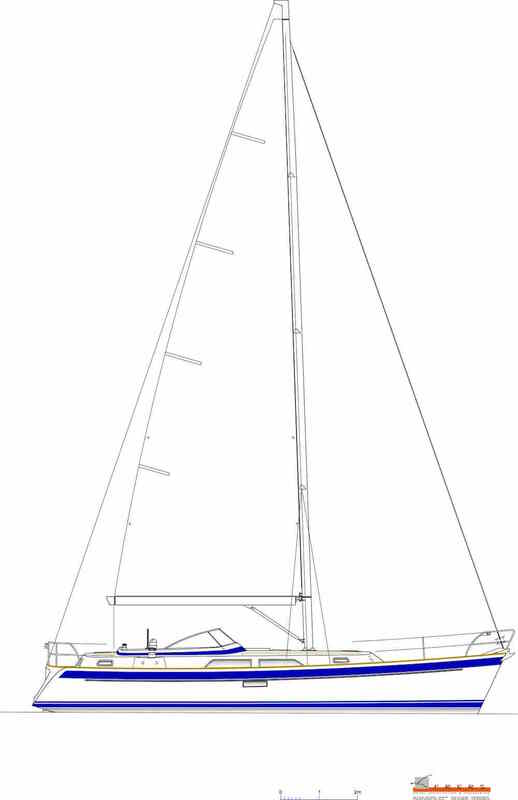 Hallberg-Rassy has raised the height of the 40 Mk II rig by 25cm and the downwind headsails now fly from the masthead. The original two cabin layout has been retained. With one at each end of the boat this provides a degree of privacy that can’t be achieved with an aft-cockpit design. These are both of a good size, although there’s no option for a second heads/shower compartment. The aft double cabin benefits from a new layout option, with a sofa to starboard and a super wide 2.37x1.79m berth to port. There are now also opening port lights between the galley and the cockpit, and between the navigation station and the cockpit, as well as an optional charcoal filter extractor for the galley. The saloon has curved seating on the starboard side and armchairs to port with a forward-facing chart table and well-appointed galley. 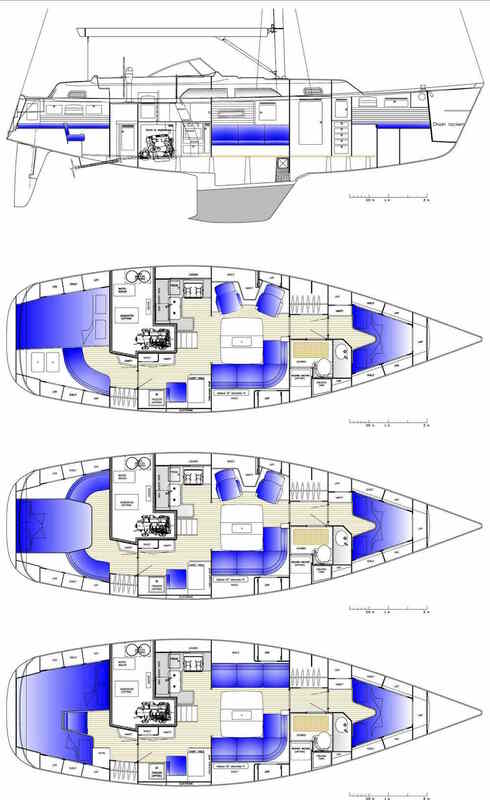 A number of options are available for the saloon, including a decent sea berth each side. Other choices include a curved L-shaped settee to starboard and a pair of armchairs to port. The galley is exceptionally well appointed, with excellent work top space and good stowage, while there’s also a proper separate navigation station – a feature that’s lacking in many new designs. 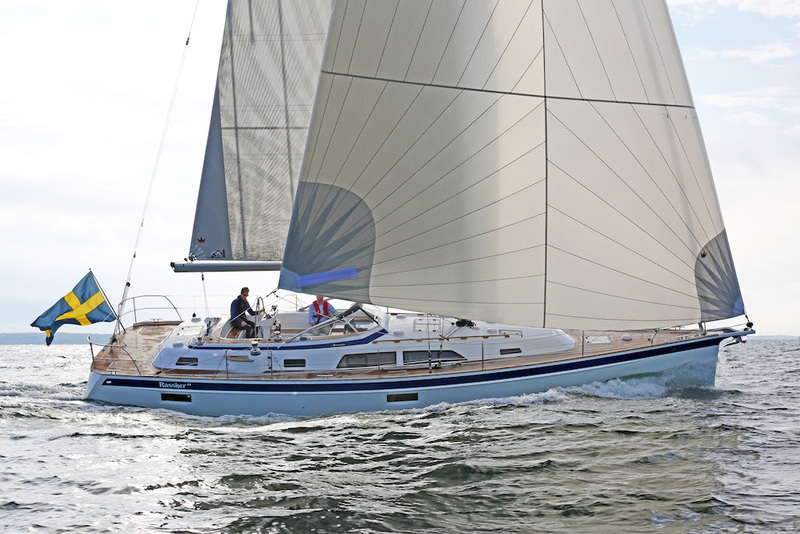 Changes with the Hallberg-Rassy 40 Mk II version include shallower companionway steps, twin hull port lights that allow eye-contact with the outside world while sitting in the saloon, and provision for a retractable 32 inch TV screen. The complete set of cabin layout options for the Hallberg-Rassy 40 Mk II. The hull shape remains one that provides a rounded performance profile in a range of different conditions. Granted it will be slower than the latest performance cruisers, but the boat will also have a much more easy going and sea kindly motion. In terms of ultimate stability, the boat also has a higher than average angle of vanishing stability of 130 degrees. 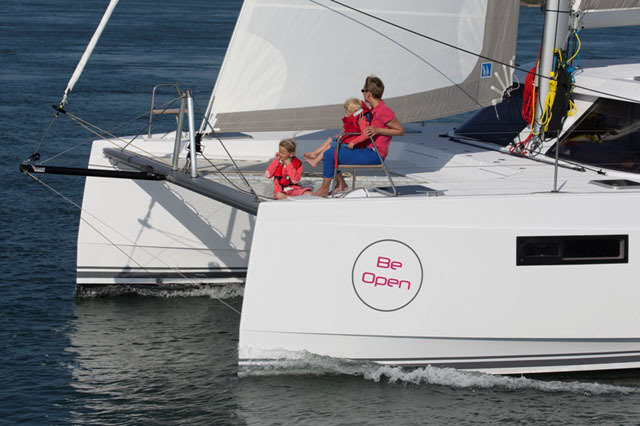 A high level of equipment is provided as standard and the layout is designed from the outset with provision for the popular options for long-distance cruising in comfort, including a 240V generator, washing machine and freezer. Hallberg-Rassy 40 Mk2 under sail: many of the updates are aimed at improving its performance under sail. 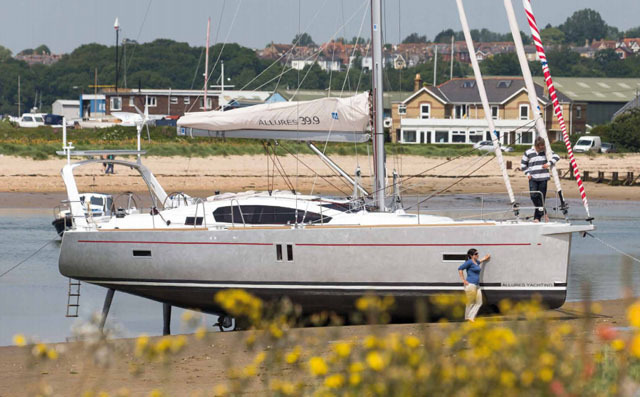 The marque appeals to those who are happy to pay for a boat that’s built to well-proven standards, with a commendable level of attention to detail. An example of this is that, with many owners keeping their Hallberg-Rassys for several decades, the company makes sure even big items such as the main engine can be easily removed for overhaul or replacement. In addition, the longevity of each model helps to ensure the boats retain higher resale prices than others of their size. While the changes introduced for the Hallberg-Rassy 40 Mk II version are predominately those involving smaller details, collectively they can make a significant difference to the comfort and ease of life on board. In addition, buyers have the confidence that the original design is well proven, following hundreds of thousands of miles at sea, so the boat was already considered to be near perfect in the aspects that were not changed. No-one buys a Hallberg-Rassy because they are looking for an inexpensive boat, or one that’s designed to provide as much accommodation volume as possible within a specific hull length. You can certainly find cheaper 40-footers with more accommodation, but they would lack many of the features that make the Swedish boat so desirable. 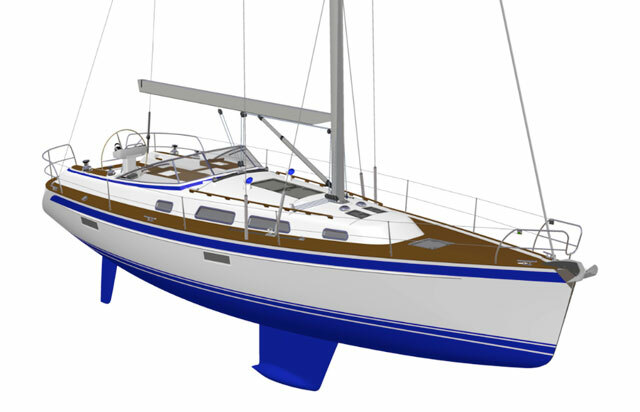 Hallberg Rassy produces a comprehensive range, including four aft cockpit models, from 31-41ft (see: Hallberg Rassy 412 review), and five centre cockpit designs. The 40 is the smallest of these, while the largest is 64ft and others include the 43 Mk II, 48 Mk II and 55. The company has also just announced an all-new 44 footer to replace the 43, which originally dates from 2001. 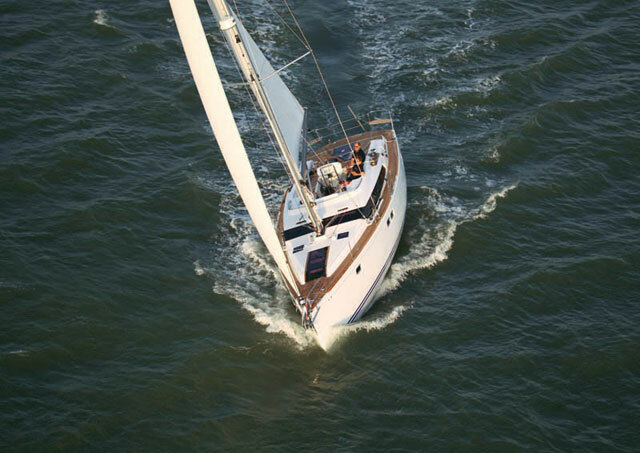 For an array of second-hand options, see: 6 Hallberg-Rassy yachts for serious cruising. Although centre cockpit boats of this size were once popular, there are now many fewer options than in the past. However, another Swedish design, the new Naiad 411CC is an obvious alternative. As far as aft cockpit designs that are built for a similar market another clear contender, though arguably aimed at a younger audience, is from another Scandinavian builder – X-Yachts' Xc series, which has models at 38 and 42ft, plus the new Xc45 (review on boats.com). is likely to be seen by shoppers interested in the Hallberg-Rassy 40 Mk II. 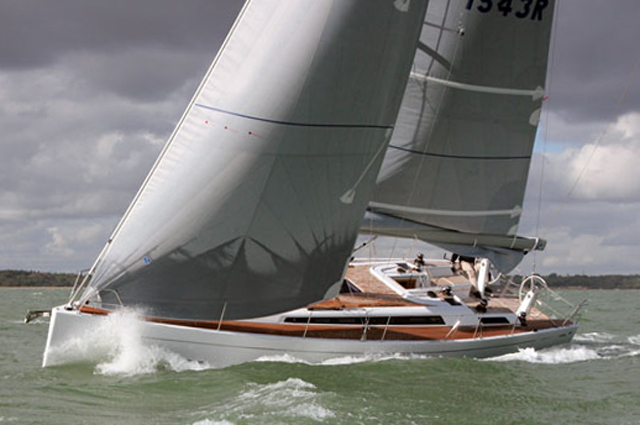 Same goes for the Hanse 415. For more information visit Hallberg-Rassy. See Hallberg-Rassy listings on boats.com.